My youngest daughter is becoming quite the comedian. If you’re a Facebook friend, you’ve already seen a few of these, but she started out Sunday morning asking for “Mommy’s cereal”. It’s true – even at five years old, I occasionally catch her sneaking around with a hand full of dog food crunching away. Then she helped us put up Christmas decorations. 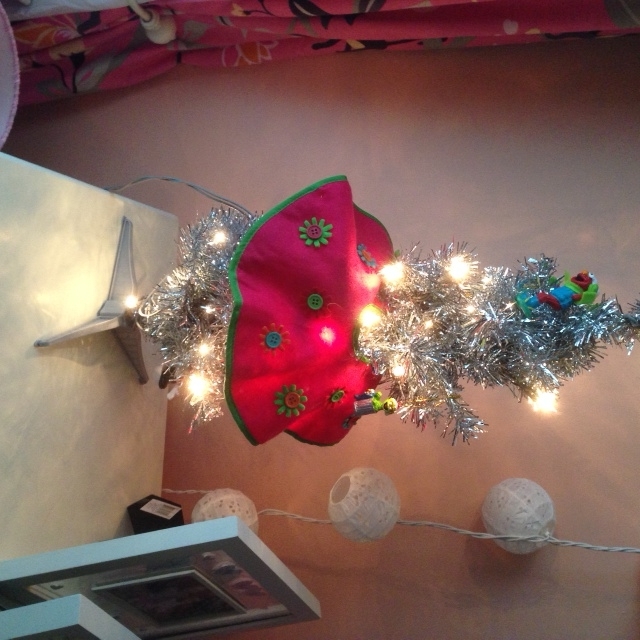 She “helped” us with the big tree and then she put her little tree in her room. I gave her a tree skirt to put around her tree. Since it was a “skirt” she did the following. Guess that’s about the right place for a skirt. Then there’s her wardrobe choices. 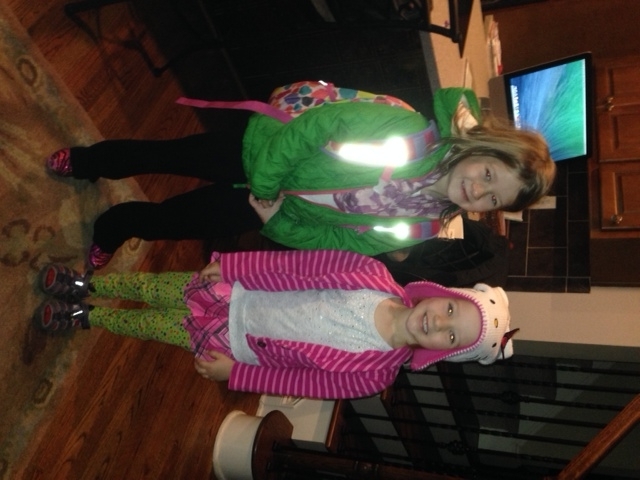 Sara had a conference last week, so I was responsible for getting the kids dressed and ready for school. The first day, after telling Amelia that it was 27 degrees and she needed to put on warm clothes, she came down in a sleeveless dress and sandals. The next day I told her again to make sure to wear warm clothes. She came down with this. 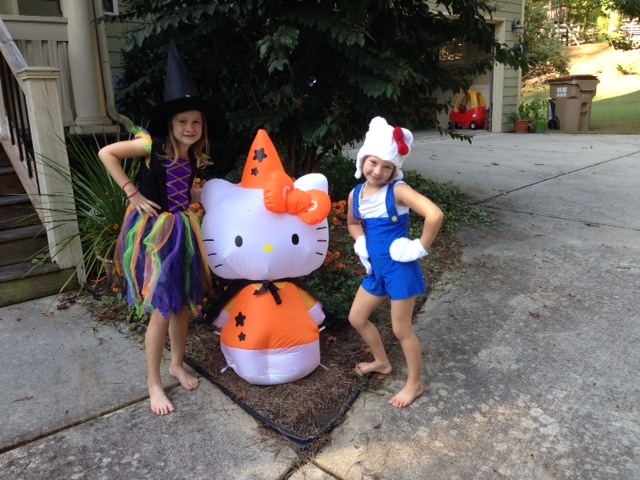 She wore a Hello Kitty hat, socks with sandals, and a complete mismatch of other clothes. Interestingly, this is pretty normal for her schoolday attire. When I started this blog 5-1/2 years ago (yes it has actually been that long ago) it was more of an extension of my book. I wrote a lot about business and leadership topics. Over the years, it has morphed into more of a family focus. Also, since I spend all day working and dealing with business and leadership issues, it can be a little arduous writing about them in my “off time”. Add to that the workload of another Master’s Degree and I’ve decided to officially change the scope of my blog. From now on, this will primarily be an update for family and friends. Also, given my limited time I will only be posting on the 1st and 3rd Tuesday of each month. If you forget and check my site, you can just reread the previous post. We had a busy week last week. Along with the typical school, work, repeat schedule, we had our annual fall festival at our church. I manned the bouncy house for one of the shifts and can now tell you that I would rather perform orthodontia on a tiger shark than man a bouncy house full of sugar-laden kids. Regardless, the kids had a blast and I’m sure they all slept well that night. 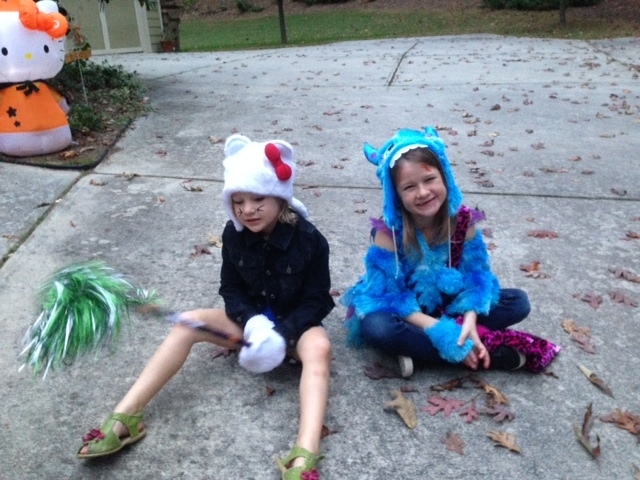 We went trick-or-treating Thursday night and the girls got to invite a couple of their friends to go along with us. We have the best neighborhood in the world for trick-or-treating. Almost every house goes out of their way to decorate and the girls probably ended up with four or five pounds of candy each. This stash usually holds us over until Easter. 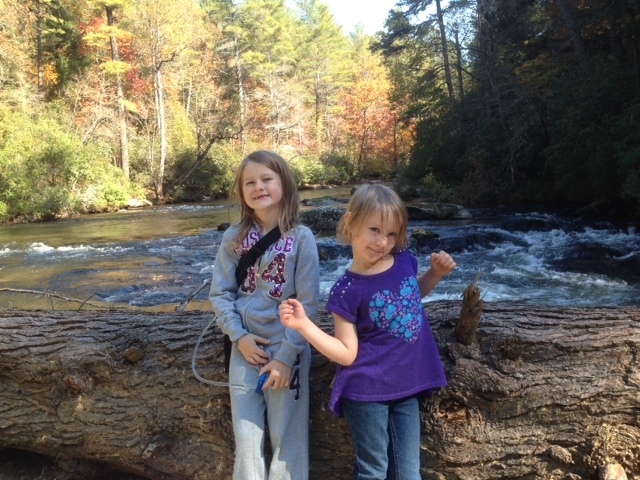 We headed up to the cabin Friday and enjoyed the perfect autumn weather. 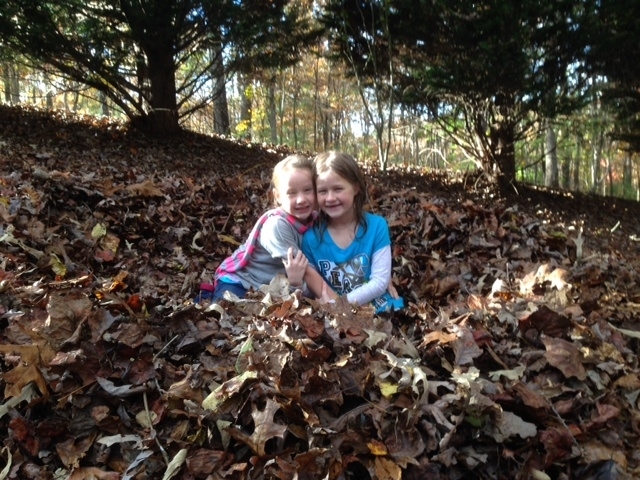 After hiking, swimming, and playing in the huge pile of leaves I made up we were all pretty exhausted. The extra hour Sunday morning was much appreciated as we headed to church.